On the morning of Wednesday, March 22, a fire broke out in an abandoned warehouse in Rockland, Massachusetts. The seven-alarm fire on 76 Park Street started around 4:45 a.m. and firefighters from thirteen communities responded to the scene. Due to the fire, Rockland Public Schools were delayed by two hours. However, Jefferson Elementary School had to cancel school for the day as the power in the general vicinity of the fire was shut down. No injuries were reported, but, according to senior Shandi Austin, the abandoned warehouse was home to some stray cats. Six days later, on Tuesday, March 28, a fire burned down another abandoned building, this time a home on 278 Reed Street. 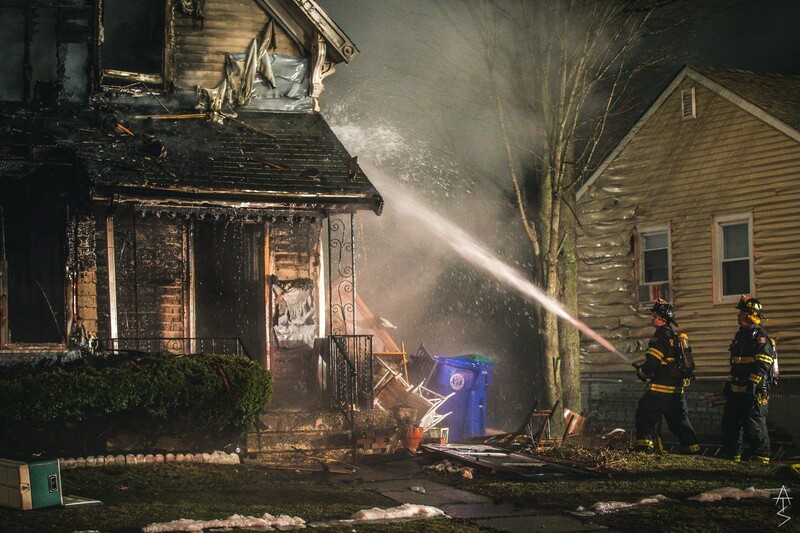 It became a two-alarm fire, and two neighboring homes had to be evacuated as the heat of the fire melted the vinyl siding on the outside of one house. Because both buildings were vacant, and there was no electricity or gas in either building, questions about how the fires started are being investigated. Rockland High School freshman, Madeline Gear, lives close to the Park St. fire site and gave this account of the fire’s impact on residents living near by. With the wide impact of both fires, Rockland and surrounding towns’ firefighters are to be commended for their response as no injuries were reported. Anyone with information about either fire can call the Arson Hotline at 1-800-682-9229; a reward has been placed for credible information.